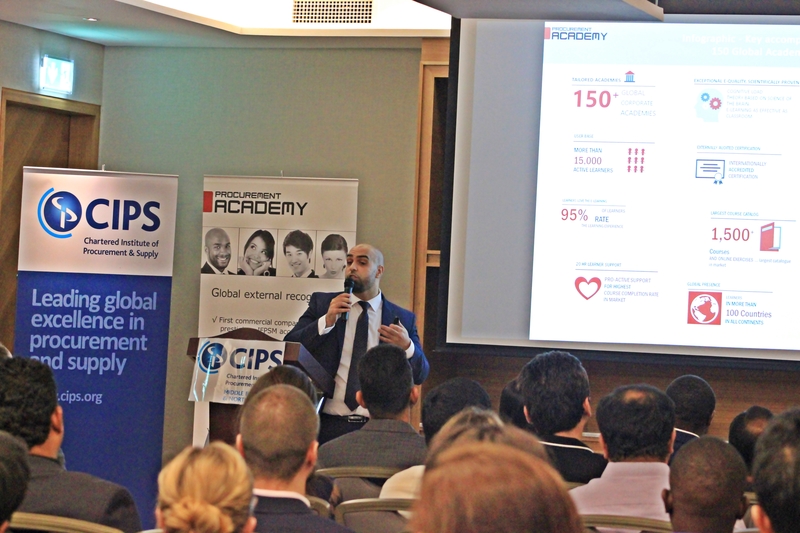 Procurement Academy in collaboration with CIPS MENA hosted the ‘Regional trends and Capability development- Dubai Branch Event’ on Wednesday 25 October 2017 at the DoubleTree by Hilton hotel in Dubai. On this occasion, Procurement & Supply Chain Academy announced their official launch into the MENA region. Raf Verheyden, managing partner of Procurement & Supply Chain Academy and Omar Makkieh, Director Business development MENA for Procurement & Supply Chain Academy spoke about how e-learning solutions is becoming a game changer in current times. Remarkable subjects addressed by them were competency-based training programs, role-based learning and ROI on training programs. The eventful night was a great opportunity to hear from a number of speakers about capability development and regional trends in procurement and the effect of VAT in the UAE as well as an opportunity to network with industry peers and colleagues. 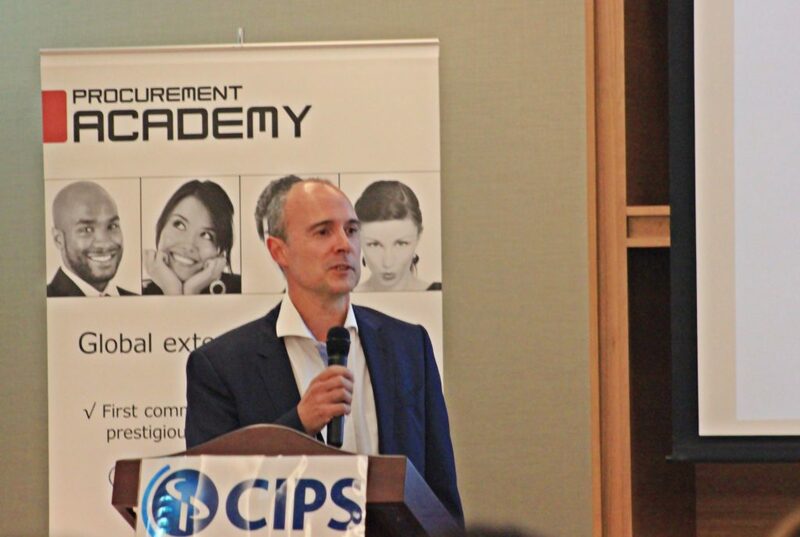 Raf Verheyden, Managing partner of Procurement & Supply Chain Academy speaking about E-learning solutions.